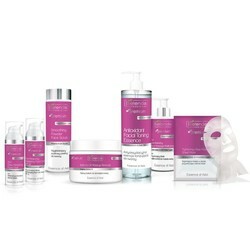 Ritual Essence of Asia rest for body and soul, that will make your skin will naturally healthy, beautiful and radiant. fitosterololom perfectly regenerates. Also stimulates fibroblasts to produce collagen and elastin. • Matcha - another ally antyrodnikowy our skin. It contains polyphenols, vitamins and minerals strengthening and nourishing the skin. • The filtrate yeast - rich in polysaccharides, flavonoids, amino acids and anti-β-glucan. It helps regenerate the skin and gives it a glow. • Aloe - soothes, moisturizes, regenerates due to the presence of calcium, iron, lecithin, manganese, potassium, sodium, zinc, and multi-vitamins. • extract wąkroty Asian - its components have anti-inflammatory, antibacterial and stimulating collagen synthesis.